Finland has traditionally maintained large and capable defense force with one of the largest wartime armies in Europe. 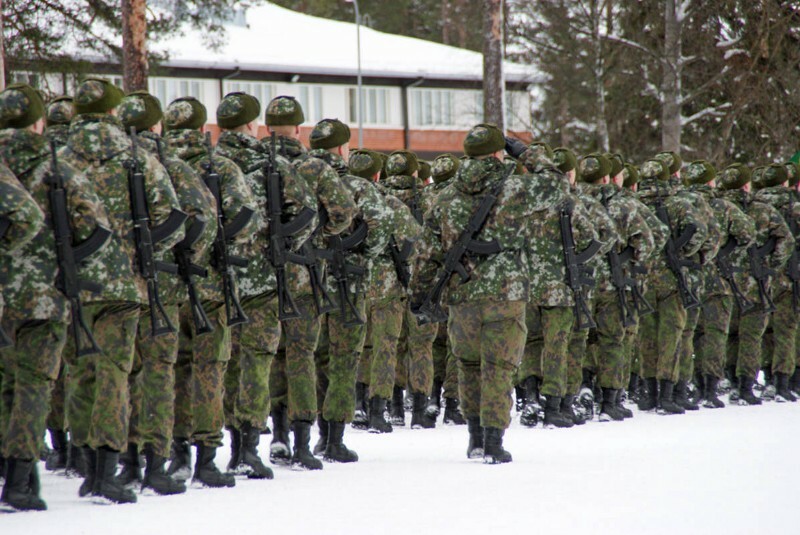 Finnish defense is based on conscription and well trained reservists form the bulk of the fighting force. In this traditional defense thinking there has been a clear separation between time of peace and crisis. 2014 Russian invasion of Crimea and Donbass showed that the picture of war has changed. Russia is fielding troops capable of large scale operations with minimal warning and no regard towards international law. And these capabilities have improved during the past two years. Entire armies mobilize in mere hours, when a snap drill is called. 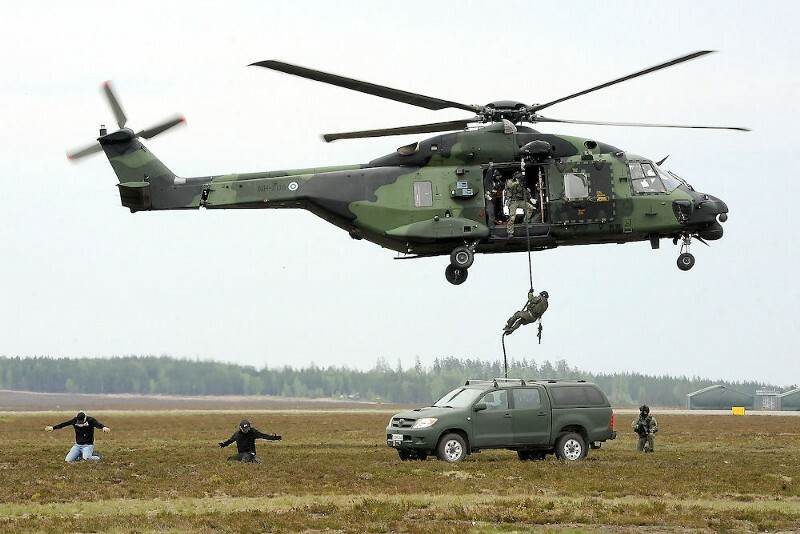 In peacetime Finnish Defense Force is a training organization that trains combat troops from conscripts passing through the 6–12 month training cycles. At any given time only very few special operations units in the Army are ready for combat operations. Additionally officers, professional NCO:s and military policemen were available to defend garrisons and depots while reservist units were to be called up, equipped, formed and sent to forward. While some reservists have been in high readiness and ready to protect and support the formation of the field army the Finland’s reserve based system has traditionally been slow. Full combat readiness of the 230000 men field army would take some time to achieve. So the Finnish defense force is establishing new high readiness troops from conscripts. This will be done by increasing the service time of some units from 6 months to 12 months. During the additional 6 months of training, the high readiness conscripts will provide a rapid response force to protect mobilization. These troops will also use the extra service time to train advanced combat skills and for example helicopter operations. Finnish government has also put forward several legislative changes to improve readiness and defense capabilities. Most important one that has already been implemented was the removal of three month advance notice for reservist refresher exercises. This change allows the President, if advised so by the Commander of the Defense Forces, to call up to 25000 men into snap drills if the security situation changes. This allows a flexible and fast way of increasing combat ready troops without full mobilization and crisis legislation. Several legislative processes are underway to change how police, Border Guard and Defense Forces can co-operate in various possible scenarios that involve covert and unconventional activities by Russia. At the moment there is no clear legislation that allows the armed forces to engage and destroy threats that are not considered an invasion. So in order to be able to cope with “Little Green Men” type scenarios, illegal activities and special operations by a hostile state, police needs new legislation. 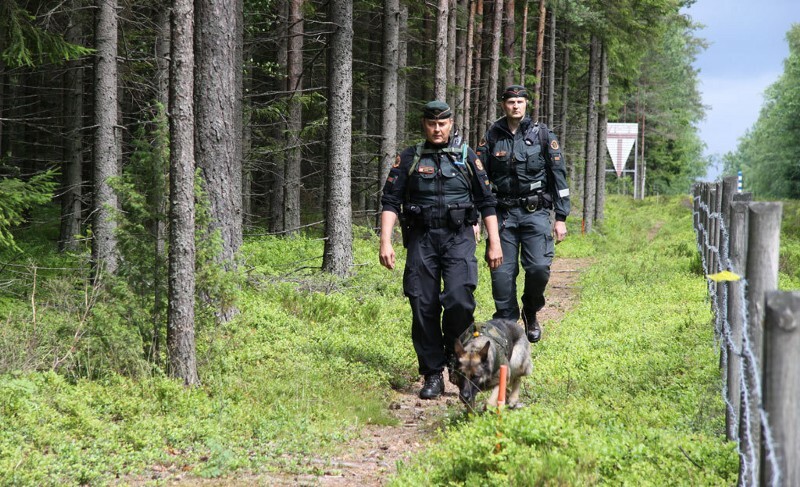 Border Guards, that are somewhat paramilitary by nature, will also receive new legislation to allow them to employ conscripts, that the Border Guard also trains, in situations like territorial violations, mass migration waves and hostile special operations. Organizational and legislative advances are only useful if the troops they enable can fight effectively. Finnish army has been slowly modernizing its equipment. Finland bought a hundred nearly new Leopard 2A6 main battle tanks from Netherlands. 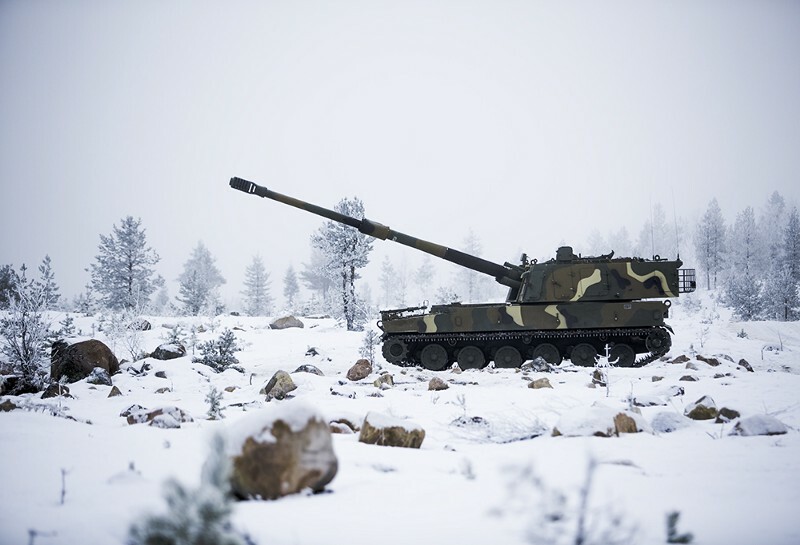 This has allowed the army to distribute its older Leopard 2A4 tanks into battle groups across the country from Lapland to the southern coast. Infantry assault rifles will also be modernized, but the much anticipated replacements seems to slip further into future. Lessons that both Ukraine and Russia learned from the fierce battles around Donetsk and Mariupol haven’t been lost in Finland either. Traditionally strong Finnish artillery is also getting an overhaul. Army in the final steps on purchasing 155mm K9 Thunder self propelled howitzers from the Republic of Korea. Competitions are also beginning for counter battery radars and smart munitions such as M1156 Precision Guidance Kits. Both Navy and Air-force are also in the middle of modernizing their main equipment. Navy is building new multi-mission corvettes and the Air-force is selecting an multi role fighter. Some more controversial changes are still debated such as a formal ban to people with dual citizenship’s for serving in certain military and security roles. There have been credible accounts that such practices are already enforced through the mandatory background checks. Defense Minister Jussi Niinistö is also strongly pushing for the Defense Forces wartime strength to be increased to 280000 soldiers. This increase would mainly consist of new local battalions with high readiness and gear partially issued to the reservists in peace time. This would somewhat compensate for the lack of a proper home guard that is found in neighboring countries Norway, Sweden and Estonia. Soviet Union required Finland to disband the previous home guard, called Suojeluskunta, after the World war two. Still some serious issues like the situation of Åland islands and the ability to protect Finnish shipping in the vicinity of Kaliningrad remain unsolved. Finnish defense in going through a fast paced transformation in order to adapt an high intensity warfare oriented conscript army to face modern complex and surprising threats without sacrificing the capability for long sustained war against the Russian mechanized forces.